Restore your youth with the Goat Milk Camellia Anti-Aging Soap Do you have damaged skin? Are fine lines and wrinkles bothering you already? Fret not friend! Use our Goat Milk Camellia Anti-Aging Soap and get younger looking skin in no time! Meant for dry, acne-prone, sensitive and mature skin, the soap helps to reduce fine lines, wrinkles and fights off skin infections. It is completely free of Chemicals, Paraben, Sulphate, SLS and Silicon. Our handmade cosmetics including the soaps are made of organic ingredients only. A great combination of honey for a Soft and Smooth skin mixed with the freshness of hops, an ingredient present in organic Beer making it ideal for the irritable, dehydrated and infection-prone skin. Our Bohemian Honey Beer soap is specially target to achieve the best results for your sensitive skin. The Beer Soaps create a lot of creamy foamy bubbles making it easier for you to cleanse yourself. 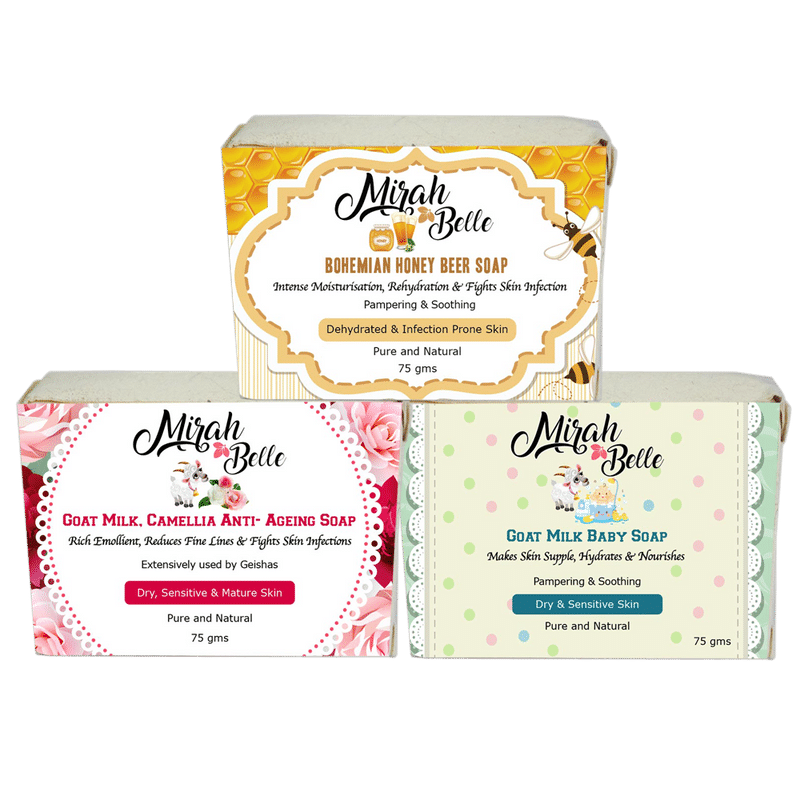 Our soaps are free of Chemicals, Paraben, Sulphate, SLS, and Silicon. We believe in using only natural oils and herbs. Handmade and Hand cut with love.